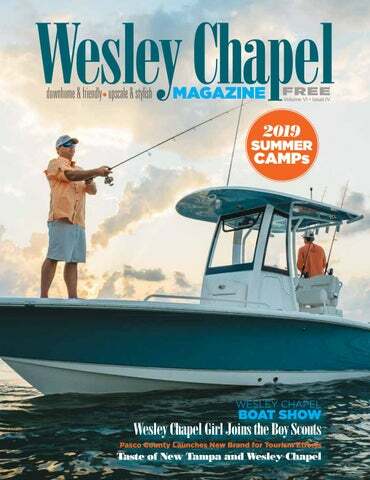 Wesley Chapel Magazine is published the 20th of each month and is distributed by the U.S. Postal Service to more than 40,000 residents in Wesley Chapel as well as hundreds of businesses. © 2019 Wesley Chapel Magazine. All rights reserved. The views expressed within are not necessarily those of the Publisher. Editorial submissions are welcome. Publisher reserves the right to reject or edit submissions for length and clarity. 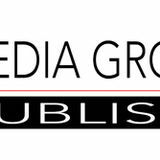 The Publisher is not responsible for errors or omissions. Wesley Chapel Magazine reserves the right to reject or edit advertisements. Wesley Chapel Magazine is not responsible for errors in advertisements beyond the cost of advertising space. in the e r a C t e P e Full Servic r Home! cleaning Only Hydrafacial® uses a patented Vortex-Fusion to deeply cleanse and remove impurities from clogged pores, while simultaneously delivering vital nutrients to hydrate and protect the skin. Great Florida Insurance Serving Wesley Chapel Since 2009 Our agency has been working with local business owners and individuals for over 10 years. Providing Homeowners, Condo, Townhouse, Duplex and Renters Insurance. We have the right insurance products, knowledge and support staff ready to assist you. Coverage available to any age home. Providing Homeowners, condo, townhouse, duplex, auto and marine coverage. Professional assistance with Wind Mitigation Inspection Reports & 4 Point Preferred Rates available to fully Mitigated properties. GREAT RATES, GREAT COVERAGE, GREAT SERVICE! involved in a performing arts program often requires an ensemble or collaboration with others, teaching students valuable lessons in teamwork that will serve them throughout their lives. hile attending a performing arts summer camp can be incredibly fun and exciting for your youngster, arts programs also provide some remarkable hidden gems. Many of the lessons provided translate into lifelong skills that will enrich kids’ lives well into adulthood. Studies have shown that participating in an arts program creates a feeling of collaboration, support and connection between students. This unique platform creates a safe haven for children to develop, even assisting students with different learning styles or kids who might slip through the cracks. Here are a few life lessons your child can learn through participating in an arts program. Through expressing themselves through rehearsals and performance, students discover their own voice, grow in self-confidence and learn to take risks which will serve them in adulthood. Why settle for less when the real deal is in your own backyard? 5, 10, 20 Years...How will your loved one be honored? Will the urn and cremated remains be forgotten in a closet or storage unit? Mistakenly misplaced? Don’t chance it. Glass niches create a permanent, personalized memorial. ave you wondered If you would like to request about the iBuyer model of Real an instant cash offer on your Estate and how it works? This property or if you’re interested in is where the Seller of a home simply comparing the options to can skip the hassles and time see what will work best for you, involved in marketing their home contact me for a consultation. through traditional channels and receive an instant cash offer. iBuyer companies purchase In a recent survey, homes from Sellers who are eager 65% of Buyers said they to sell quickly and move on. would be willing to spend Sellers can sell for a higher price thousands of dollars more by using traditional methods but for a home with smart home in some cases, they prefer the technology features. Features convenience of this option. to consider adding to your Typically, an automated home are interior and exterior valuation model is used to security cameras, doorbells that determine a discounted purchase send owners text alerts, network BY AMANI WARDEN, REALTOR price. Then they conduct a connected appliances, etc. If professional home inspection of the home that may lead to you have these high-tech items in your home, make sure you further discounting of the price. The closing occurs in as few as highlight them in the home’s marketing material. 10 days. Board certified in family practice by the ANCC, Peggy Demetriou comes from a strong background in Family and Internal Medicine. Peggy’s intelligence and diverse background give her an edge over others in helping the patient, not just treating the disease. 24 H EMERG OUR SERVI ENCY CE ! SCHEDULE A SKIN CHECK TODAY! omfort Keepers provides in-home care to seniors to provide care services and living assistance to help them live as independently and comfortable as possible. Tracy Kelley, CEO, states, “The most enjoyable aspect of our business is elevating the human spirit for today’s seniors and their families through a unique, individualized approach to providing care that helps seniors thrive. We know that people want the same things no matter how old they are – connectedness, love, purpose, hope and joy.”  Our approach to providing care is through Interactive Caregiving ™. Instead of “doing for” the senior, we strive to provide care by “doing with” the senior, engaging participation at every level. This one-to-one care in everyday tasks enable the senior to reminisce, recollect memories, and share their past. Understanding the specific needs and personality of our senior allows us to create highly individualized care plans which are periodically updated based on our validated reassessment process. The matching of a carefully selected team of caregivers to clients who blend care with friendly companionship and engaging activities that help our clients connect with themselves, with others and with the outside world, helping them thrive both mentally and physically. We believe care should be inclusive, making the family an integral part of the circle of care. Comfort Keepers become a highly valued partner with seniors and their families because they know their loved one is receiving the kind of care they want to provide. Family Communication Hub - Provides real-time updates on the senior’s activities, care and services, and any challenges, including photos and care team notes. Technology Presence – Allows us to extend our presence in the home, providing virtual check-ins, safety and activity monitoring, and response to urgent needs – all accessible by the care team and the family. Technology like our online portal and GrandPads help connect seniors with their families to savor memories through email and video chat, photos, and music. Local office – Supervisory team and care coordinators are within close proximity to where our clients live for rapid access when needed. Lakeland-381.ComfortKeepers.com 902 S. Florida Ave., Ste. 201, Lakeland, FL 33803 License #: HHA 299992766 and HHA 299994676 © 2019 CK Franchising, Inc. Most offices independently owned and operated. Must present coupon. Cannot be combined. One per visit. Expires 4/30/19. Go to CornerstonePros.com for more coupons. OR WATER TREATMENT SYSTEM 100 OFF GENERATOR Must present coupon. Cannot be combined. One per visit. Expires 4/30/19. Go to CornerstonePros.com for more coupons. Here are a few of the tips offered by The Florida Department of Children and Families for considering a summer camp program. √ What are the program’s health, safety and nutrition procedures? √ Ask about the sign-in and sign-out policies, medication and discipline policies, lifeguard certification and water safety, field trip and transportation, handling of sick children, and missing children policy. √ Is the staff screened? Has everyone in the organization been fingerprinted as required by law? Has the camp conducted a check of local law enforcement records, national and statewide criminal history check through the Federal Bureau of Investigation and Florida Department of Law Enforcement for all of the staff and volunteers? √ What are the staff-to-child ratios and group sizes of the program? Florida’s maximum staff-to-child ratio for school-age children is 1-to-25. National quality standards recommend between 1-to-8 and 1-to-15 for children age 5-to-teens, and group sizes should be no larger than 30. √ Is the staff well-trained? Ask about staff experience and education in early childhood, school-age care, recreation, serving children with special needs, CPR, first aid, lifeguarding and if they are appropriately licensed for transporting children. √ Is the program licensed or accredited? These are not required, however licensure and accreditation ensure that basic health and safety standards are met and often requires meeting additional quality standards. √ Are parents welcome to visit? Are family activities offered? Day programs should be accessible and welcoming to parents at all times. √ Quality programs provide more than continuous free play. Ask to review a typical lesson plan. Plans should be consistent with the philosophy of the program and should include indoor, outdoor, quiet, active, staff-planned, child-initiated and free choice activities. √ Outdoor programs should include indoor or sheltered areas for resting, respite from the sun and to use for bad weather days. 5pm - 10pm Parents can enjoy a night out while kids (ages 5-13) enjoy a night at the Land O' Lakes Recreation Complex. Fun activities are provided including games, basketball, movies, arts and crafts. Refreshments will be served. Due to limited space and to guarantee a spot in this event, pre-registration is required by 8pm Friday, 4/26. 10:30am Crews Lake Wilderness Park 16739 Crews Lake Dr - Spring Hill Woodland Hills Birds of Prey will be visiting the Crews Lake Earth Day event this year. Come prepared to see the largest owl species in the world today, the Eurasian Eagle Owl, represented by Thorin. Traveling with him is Harris' Hawk, Terra, both owned by Master Falconer Mark Joseph Good, owner/operator of Woodland Hills Birds of Prey. Bring lots of questions as these guys have the answers. n March 24th and 25th, over 50 innovative restaurants and chefs from North Tampa descended upon AdventHealth Center Ice in Wesley Chapel, serving up enticing dishes and desserts to local foodies. The crowd was invited to enjoy delightful bites from returning favorites and newbies to the event as well. By showing a food ticket, they could even take a glide around the rink with a free skate rental. Area food and drink vendors included Blue Chair Bay Rum, Chuy’s, Fat Rabbit Pub, Liang’s Asian Bistro, Nothing Bundt Cakes, Pinchers (Wiregrass), PRP Wine International, The Main Ingredient, The Olive Tree, Walkabout Café and Zephyrhills Brewing Company. The annual event supports local charities and high school scholarships sponsored by hosts: the Rotary Club of New Tampa and the North Tampa Bay Chamber. New patients only. Not valid with any other offers or Insurance. Does not include periodontal therapy. Limited time only. Expires 5/31/19. Multiple Publicati o Discountsn Available ! pain with 27 years of Ivy League experience! Broker Associate, Keller Williams New Tampa. Over 30 yrs of Real Estate knowledge. • Open to all years of Cars, Trucks & Motorcycles. 9:00AM to 11:00AM. No Cars parked after 11:00AM. • 50/50! Silent Auction! Vendors! Meet some of Pasco's Deputies and Retired K-9s! • $20 if pre-registered by 5-15-19; $25 for Day of Show. • Show Judging will take place 11:30AM to 1:30PM. Awards presented at 2:30PM. cruising4critters@gmail.com or call (727) 385-4583 or (727) 385-4367. Come on Out for a And Sit. hat a great day! The 2019 Central Pasco Chamber of Commerce Music Fest held on March 23rd was perfect. Perfect weather, perfect music, vendors, food, beer, wine, friends & family. The only downside was not enough port o’ pottys. According to Les Saland, President of the Chamber, “We just weren’t expecting this many people.” Hence, a bit of a line to find relief. The event began at 4pm which allowed the crowd to soak up some sun with their kids and pets. After the sun set the temp dropped some with a little chill in the air. All one had to do though is get up and dance to get the blood going. We think this should be a monthly event! Kudos to the Central Pasco Chamber! A) Perio probe indicates excessive pocket depth. B) Laser light kills bacteria and diseased tissue. C) Ultrasonic scaler and special hand instruments are used to remove root tartar. D) Laser finishes cleaning and sterilizing pocket which aids in sealing the pocket closed so new germs cannot enter. E) Reattachment of connective tissue to the clean root surface with a stable fibrin clot and gingival crest to create “a closed system”. F) Bite trauma is adjusted. G) New attachment is regenerated. New bone and new ligament is formed and healing occurs. been OK with people in America celebrating the day of his death with the drinking of green beer? Possibly in excessive amounts? Well, the day was a holy day of obligation, but it was also a day to celebrate Ireland itself. O’Brien's Pub in Wesley Chapel made the celebration a 3-day event with bands, beads, games and more. Friday brought the Daniel Sprouse Band, Saturday the Harold Jones band, and Sunday the Troy Duncan Band. Yes, there was green beer along with corned beef & cabbage, Corn Hole and more. O’Brien's took over the parking lot with tents, tables and a stage. It appears that this is a regular occurrence at O’Brien's every year!